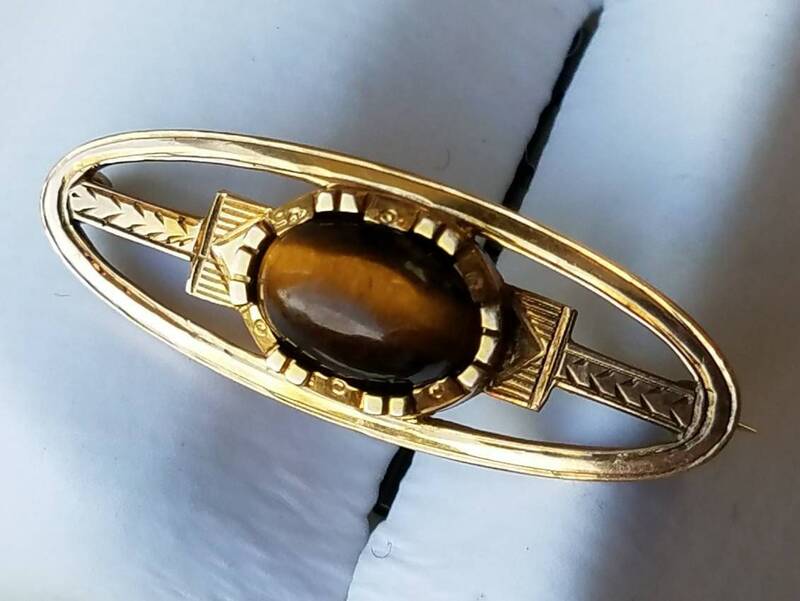 This vintage brooch is 10K yellow gold, with a central tigers eye. 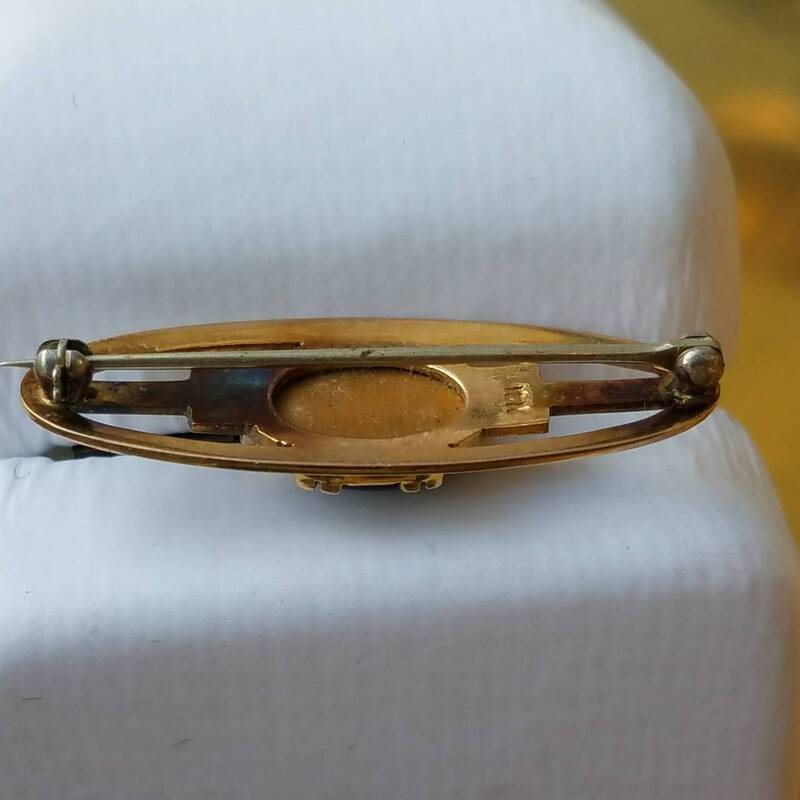 The stone measures 11mm by 7mm, with the full brooch measuring 35mm by 13mm. 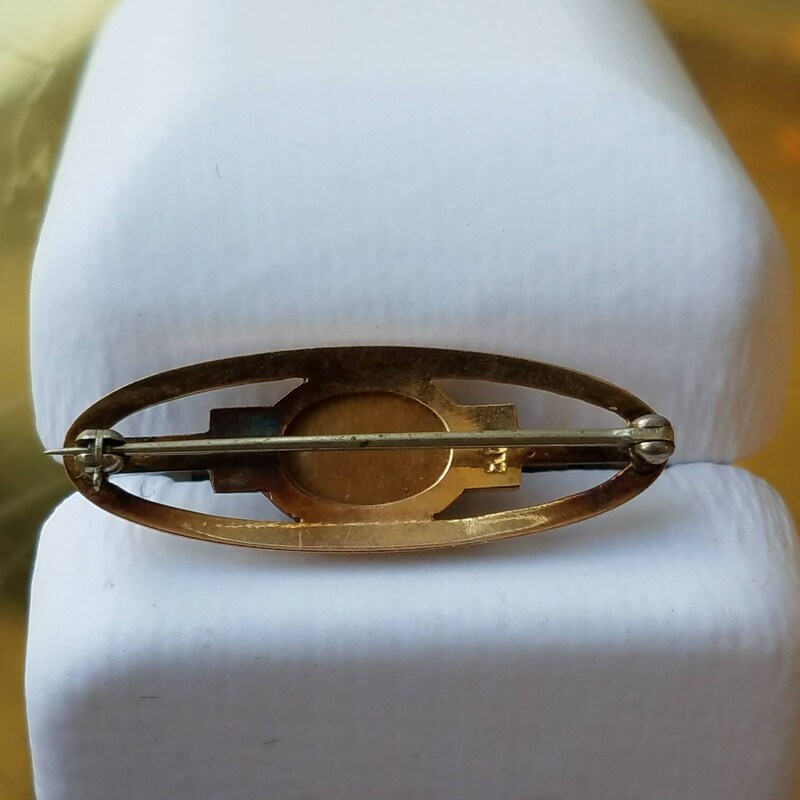 The clasp is a safety clasp and is in perfect working condition.